Every person wants the floor in his house or apartment to be reliable, durable and strong. Laminated floors look modern and stylish, they are relatively inexpensive, and care for them is very simple. To decide on which laminate is better to choose, you need to arm yourself with some knowledge of the performance and quality characteristics of the floor covering to be laid. Laminate is believed to be an artificial substitute for wooden parquet. However, it is impossible to fully agree with the statement that laminate is a synthetic material. This is because the coating consists of 4 layers. The bottom layer is made of wood base, pre-impregnated with resin, or plastic. This layer protects the panel from changes in temperature and moisture. In addition, it provides the rigidity of the laminate, as well as the stability of the geometric size. The middle layer is made of wood board. The strength of the lamella is determined by this layer. The next layer is decorative. He is responsible for the appearance of the laminate. You can choose a coating with traditional wood coloring or with a design pattern. And the last layer of laminate is protective. This is a durable coating of polymers, which serves as a reliable protection of the fabric from the negative impact. Its durability depends on the wear resistance class of the laminate . Operating class is indicated by numbers. It clearly shows how long the canvas will look aesthetically attractive, and how it can withstand the loads. The European Association in 1999 brought together laminate manufacturers, thanks to which a unique material evaluation system was developed. From that day, each product must pass 18 tests, the results of which are applied to the packaging and recorded in certificates. Among the variety of coatings, there are only two main categories: commercial and household laminate. Commercial laminate is intended mainly for public places, where it typically serves from 3 to 8 years. With its use in everyday life, the service life increases by at least 3 times. Household laminate is used only for installation in residential premises. However, today this category of flooring is not in great demand. This is because the commercial grade laminate is more durable. Class 21 - fits on the floor with a small load, for example, in the bedroom. 22 class - fits on the floors with a greater load, for example, in children's rooms. 23 class - fits on the floors in rooms with intense load, such as kitchens and corridors. 31 class - fits on the floor in meeting rooms, offices and offices that are not intended to receive visitors. 32 class - stacked in intensively visited offices, very durable laminated board. 33 class - fits into commercial centers, shops and cafeterias. 34 class - can be laid on the dance floor. A characteristic feature of quality products is a long warranty period - from 20 years and up. Manufacturers who continuously improve their products give a lifetime warranty to consumers. If you think about what brand to buy laminate, then pay attention to the technical data, if they are marked very evasively, then it is better to refuse such a purchase. Such manufacturers, as a rule, do not give specific warranty obligations. This means that the product has clearly not been thoroughly tested, which makes it likely that the laminate will become completely unusable in a few years. The following are the most popular brands of flooring that can be purchased at a reasonable price. This is a laminate produced in France. 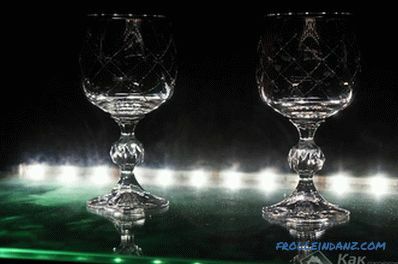 It has high aesthetics and the quality conforms to European standards. Its cost does not exceed the price of the material of domestic and Chinese manufacturers. The coating is produced 0.7-1.2 cm thick. There may be chamfers on the board. Product class 32 or 33. Moisture protection and plate density is average. Produced in Germany. The parameters are fully consistent with the passport. The main advantage is low cost. 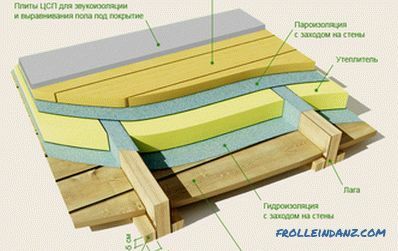 The moisture protection is average, the chamfers of the board are not laminated, the plates are not very dense. Produced in Germany. The quality of the coating is high, which is explained by the German quality.In addition, the buyer offers a diverse collection in which there are many options for colors and a variety of technical characteristics. Products cost more than its counterparts of the same European quality. German Quality Laminate . There are budget collections and premium collections. It is worth noting that budget collections have an affordable price. 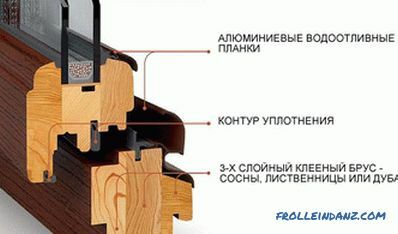 Laminate of this brand can be laid in the country, in an apartment or house. Among the drawbacks are soft colors and simple design. If you have not yet decided which laminate manufacturer to choose, then you may have to think about the price range and then decide which product to give preference to. Choosing laminated board, you will definitely encounter the difficulty of value for money. Cheap - it means in almost all cases poor quality. However, there are a number of characteristics that can be attributed to a number of desires rather than necessity in everyday use of laminate. 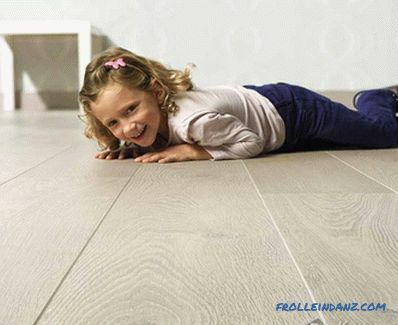 These include moisture resistance, realistic wood imitation and the presence of chamfer. However, when it comes to the thickness of the panel, and especially with regard to the thickness of the outer protective layer, there is no way to save money. The quality of the protective layer will manifest itself in the first days of operation of the laminate. The cheapest household laminate of class 21 and 22, which is designed for minimal loads and can fit in bedrooms and children's rooms. The average price range falls on the laminate 23 and 31 class. These coatings are suitable for laying in the corridors and kitchens, as well as offices with low visitor traffic. Commercial coverage 32 and 33 classes are the most expensive, but at the same time the most durable. Therefore, if you decide which firm to choose laminate, then by all means pay attention to the class of laminate, and its value. The main thing here is a reasonable combination of price and quality. So, if you have any questions on the topic, then write comments to the article. Online representatives of our service will kindly answer all your questions.